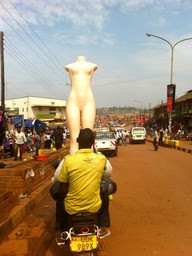 He continues to pull off the unthinkable: getting bums on bodas in busy Kampala. And all while looking stylish - although Walter Fahd insists he's no slave to fashion, that his look is all really about practicality. For today's blog what better to feature than a Q&A with Uganda's boda king, who now runs popular motorbike tours taking in the highlights of the country's capital? 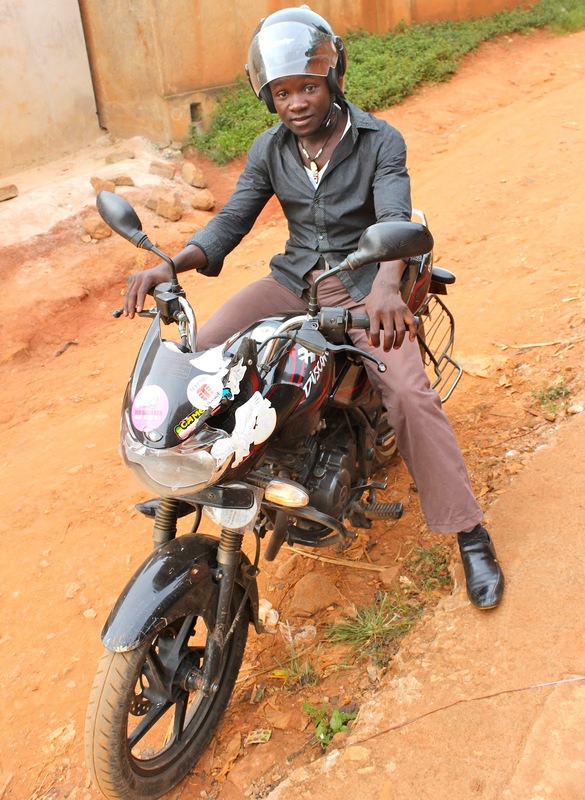 Fahd, 26, is from Busia, southeastern Uganda, but now lives in Kampala. 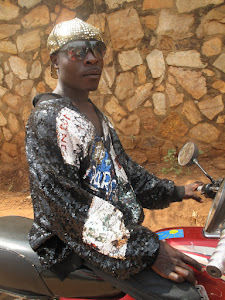 I haven't been on a tour yet, but had the pleasure of him running me back to my place yesterday and although I "reached safely, as Ugandans say, the ride was anything but dull. I didn't convince Mum this time round (she wouldn't even get on a boda with William), but she did take home a tour brochure and say, "On our next trip..." I sat down with Walter at Prunes cafe in Kololo. 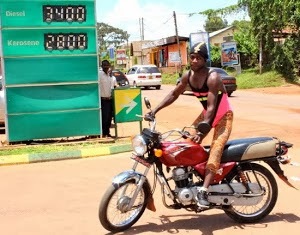 Q: Let's get straight to the point, is taking a boda risky? A: Bodas aren't as scary as people think. If you have a good driver, you're protected and you're wearing a helmet I think it's not that scary. 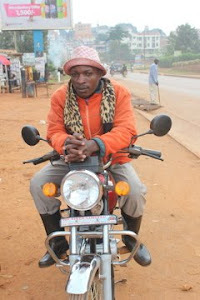 (However) you can buy your bike today, go on the street and say you're a boda driver. Me as a customer can meet you (and) can jump on your boda, you've been driving just two hours, then the minute you crash they (people) start saying bodas are dangerous. Some of them drive in a crazy way because they get drunk or whatever. But they're not really as dangerous as people think. 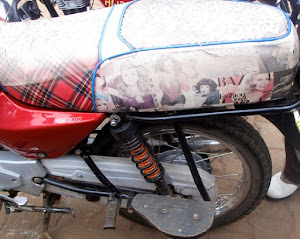 To get people convinced to sit on a boda is the biggest problem (I have running the tours). But when they're sitting on it an hour later they're like 'wow, this is so interesting, safe and fun'. People like seeing places in 30 minutes. 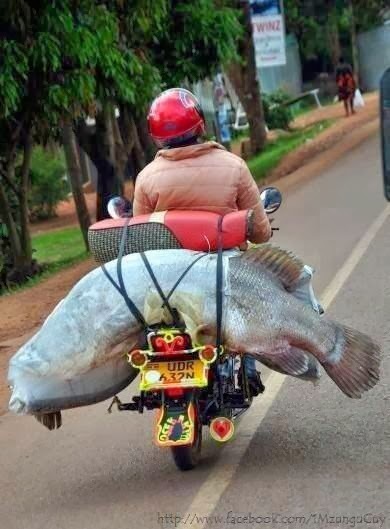 People say bodabodas are dangerous, but I always say bodabodas are only dangerous if you take risks - your head is most likely to be the problem. People die because they don't wear helmets. 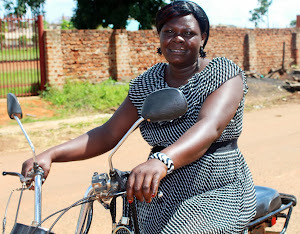 Q: When did you first go on a boda? 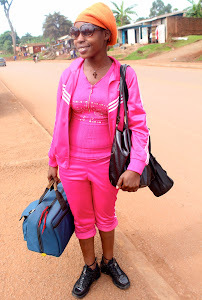 A: Nearly three years ago, a couple of months after I came to Kampala. By then I was jobless so I got a job as a gardener. I'd been living in South Sudan. My boss had a business in pharmaceutical equipment there so I moved there for four months, but quit and came to Kampala with the help of a friend. 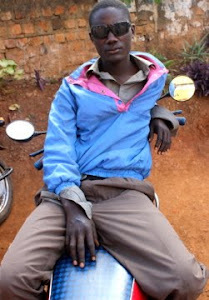 He was driving a boda. 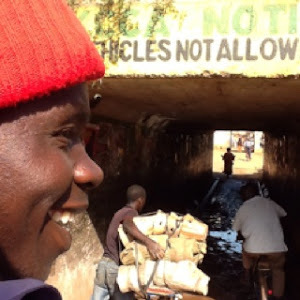 I bought a bike for nearly three million Ugandan UGX ($1,128 USD) and paid it off so I could own it fully. I sold it off later and bought a better one. Q: How did the tours start? 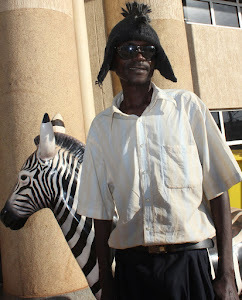 A: I started meeting new people, mostly white people (known as 'mzungus' in Uganda), then became their regular drivers. Through meeting these white people they kept on recommending me because I was their safe, reliable boda driver, kept time and so on. 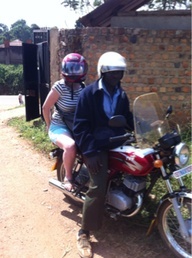 I realised there was something that I could do that Kampala didn't have - and that was tours by boda. Most of the other attractions were long trips like safaris and gorillas. I started taking people and showing them places and they loved it. I kept on saying (to myself) 'okay, okay I can develop this'. Then I made it my business. That was in August last year. I started doing the tours through word of mouth. Q: How many tours do you do a week, who goes on them and what are the highlights? A: I do around ten tours a week. I try to do at least two a day but I can do up to six. Most of them are people coming as tourists and others that come to visit their friends or parents who come to visit their children who are living here. Some expats living here have heard about the tours so they send their parents. People also come over to write about me for different forums. We tell the history of all the places we visit. One of the highlights of the tours is Gaddafi Mosque. We explain the history behind all the sights, from A to Z. People love it because they're getting to see Kampala 360 degrees but they're getting all the explanations about the sights. Q: Where do you get the helmets from? 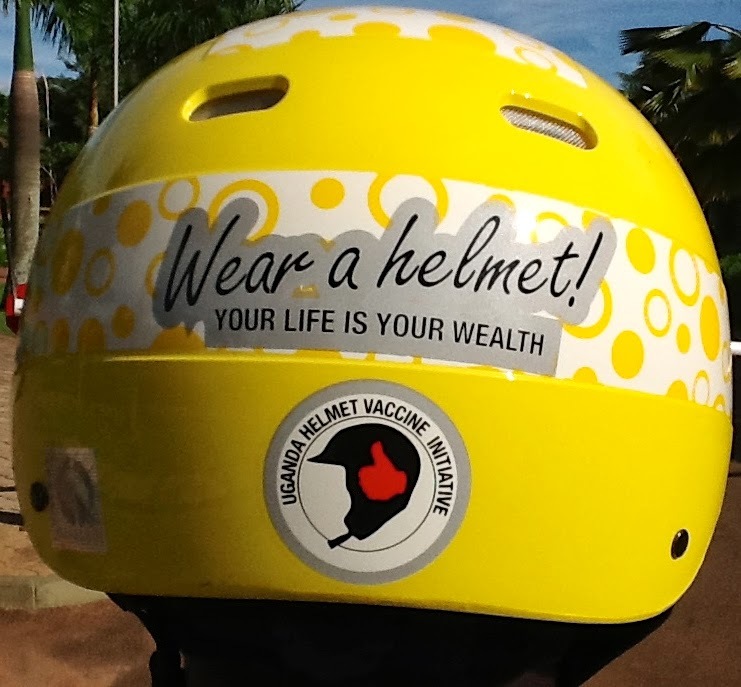 A: We provide a clean helmet, not fake Chinese helmets which most people wear. These are not protective. Over the months I've had friends who are coming form Western countries. I can tell a friend (from overseas) 'buy me a helmet'. I also buy them from expats leaving the country, some of them come with very strong helmets. 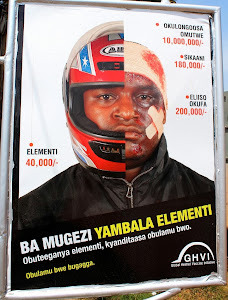 There's a shop downtown near Katwe where they do mechanical works that sells strong Japanese helmets, too. STOP. DANGER. Never fear when you're in this boy's capable hands. Q: Where can we read more about the tours? 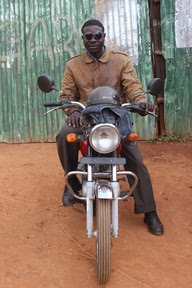 A: People have written articles about my boda tours in newspapers all over the world. I've been on blogs such as Trip Advisor, in publications through people who kept on writing reviews about me and the Air France inflight magazine. Volunteers also come and write blogs about me. I'm mentioned briefly on Wikipedia. There was also a Dutch TV show that I acted in. Q: Tell me honestly, have you had any accidents? A: Not on my tours. We've been lucky we haven't had an accident before. But with accidents you never know what will happen. You can be the best driver and something happens. But at least if you take care of yourself earlier you can avoid it. We check all our bikes, I inspect them and all ten drivers who work for me. 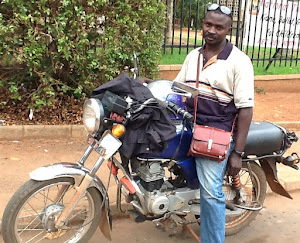 Q: Would Uganda grind to a halt without bodas? 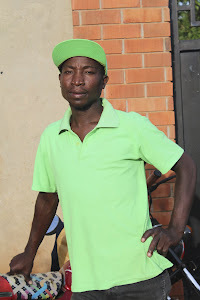 A: I think we definitely need bodas becaue even sometimes when I'm driving my car I get stuck in the traffic and I just have to call one of my drivers and say 'okay come I need your bike'. I leave the car there or I park it somewhere else. I always move with my helmet in my car. 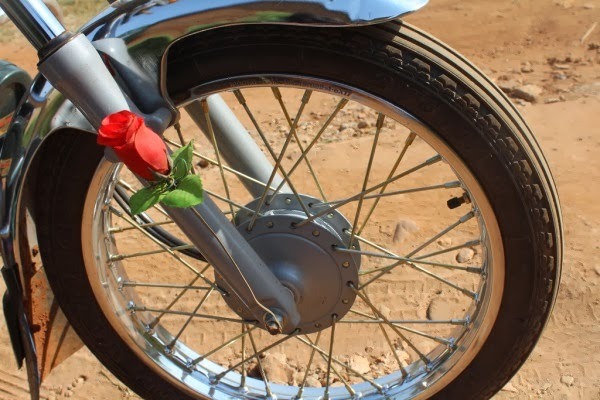 I think bodas are the only way to go. The car is the back-up plan in case it starts raining. Q: Who are the nationalities most sacred of doing your tours? A: I can tell you some elderly people from Britain, the US and most of the Western countries, some of them are really scared. When it comes to really crazy people I think Holland is up there, they don't mind going on bodas. Q: Last but not least, is style important? A: I tell my drivers you have to look professional, you have to look smart because other people say bodabodas don't shower. 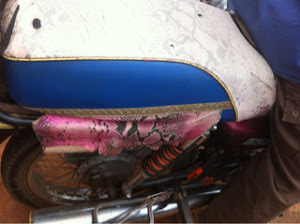 You sit on the bike and it smells horrible. You have to wash all your jackets, you have to be clean. All our helmets are very clean. For sunglasses, it's easy to buy them on the street. But most of the time it's not about style. The drivers are actually afraid that the dust is going to enter their eyes. The famous hair that gets done once a year. 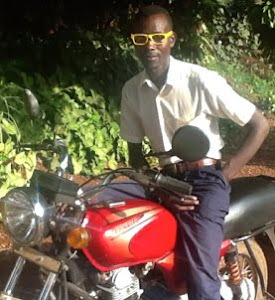 Who said boda drivers were metrosexuals? Can you believe this hair only gets done ONCE year? Sooo low-maintenance. Hair - 265,000 UGX once a year. The hair I started growing it three years ago and I've never shaved it off. I get it done once a year at the hairdresser. I wash it every two days though so it's not dirty. It costs 265,000 UGX ($100) but I have a saying - 'I hate buying cheap things'. I get it done then forget about it. It takes 12 hours to do - sitting in a hairdresser for 12 hours takes up so much of the day! 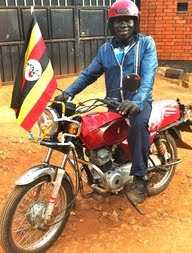 Walter's Boda Tours start at 38,000 UGX and go up to 80,000, depending on the size of the group and the type of trip. To see more click here here. You can also get in touch with Walter via walterfahd@yahoo.com or on 0791880106. Walter also now runs tours in Arusha and Moshi, Tanzania. Walter says, "wear a helmet". 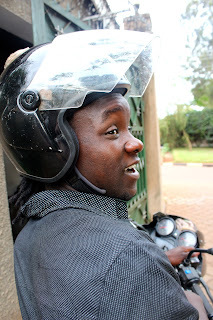 Yours truly has always worn a boda helmet right from the start (Mum sleeps well at night). 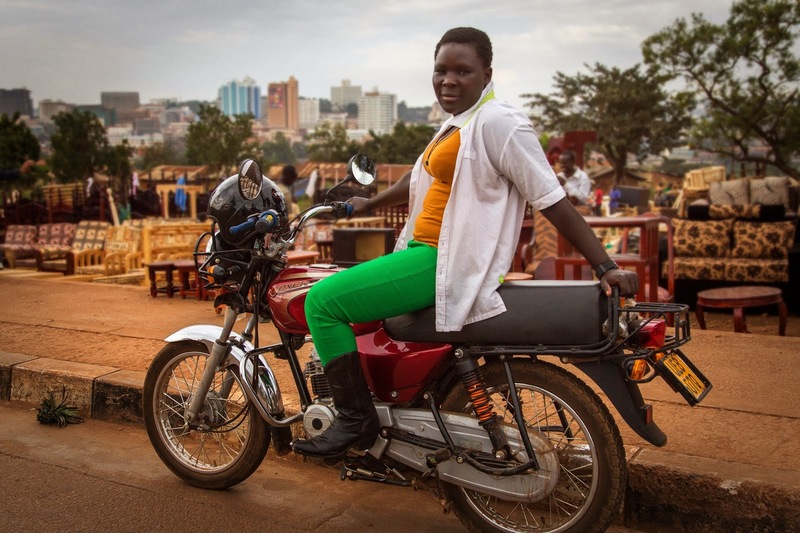 Thank you for this piece about boda boda transport.In Uganda,it is a major means of transport;quick and easy to beat the trafic i Kampala. Thanks so much for the FIRST comment on this blog! 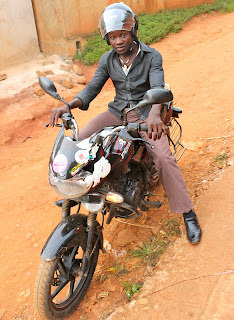 Would love to hear more about what you think of bodas, what you'd like to see on this blog and if you'd like to be a passenger interviewee! Feel free to get in touch.